Very well equipped kitchen, big fridge freezer and 4 element stove. Good WIFI. The studio is small but with a very good organization of space with sleeping, dining and sitting area and nice decoration. It is fully equipped, with a dishwasher, unnecessary to me. Corina 2 is located in very quiet place with big closed parking ( Petras is not good choice for people without a car). Even without beautiful see view, I think it is better than Corina 1 that has parking for only 3 cars and is located in very noisy street. The garden is beautiful. If we had WiFi and hot water (which should be standard in the 21st century) I would give them 10. 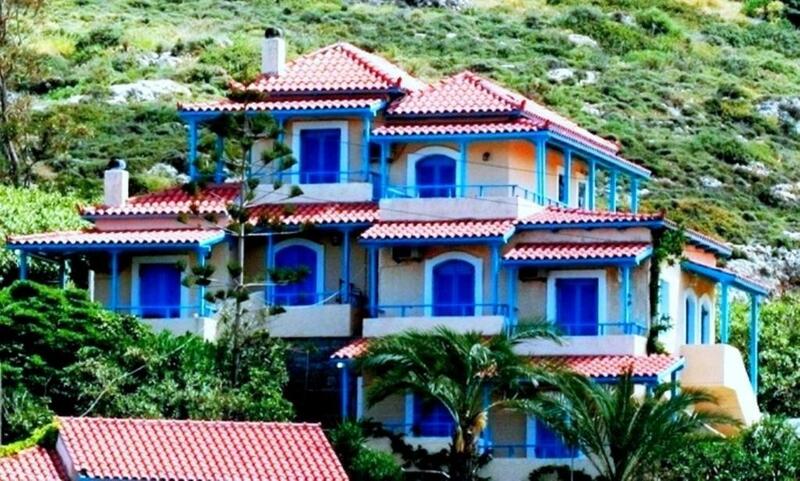 Well equipped apartment, outstanding view, nice garden and interesting arhitecture. 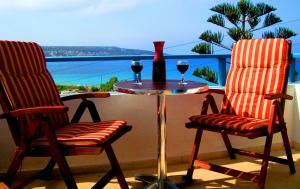 The views from any of the 3 balconies on our apartment were stunning, overlooking the town and bay. 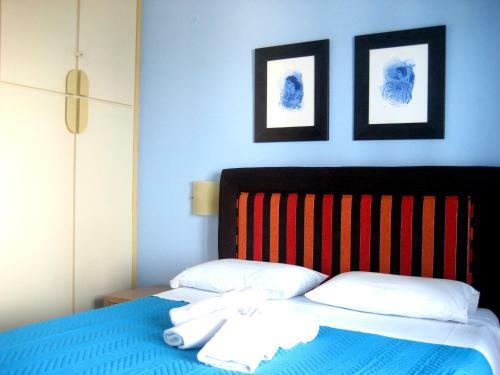 Extremely clean and well equipped apartment (laundry facilities, stove, coffee machines and coffee sources of various types)- well laid out and comfortable. Good internet reception. Enjoyed having accommodation for relaxed breakfasts we prepared. Grounds were well kept (jasmine hedge nice bonus). Excellent privacy. 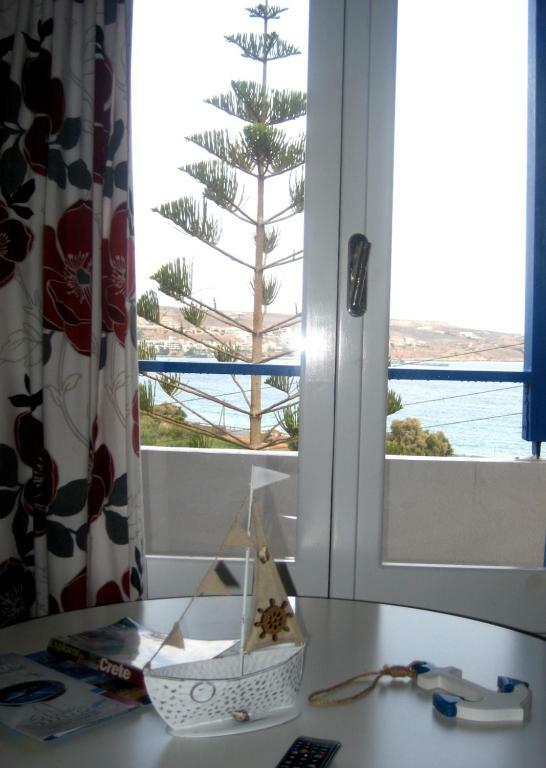 Excellent basecamp for lovely town of Sitia and surrounding areas. Excellent value for money. Spacious, clean and comfortable apartment. Very helpful and attentive host. 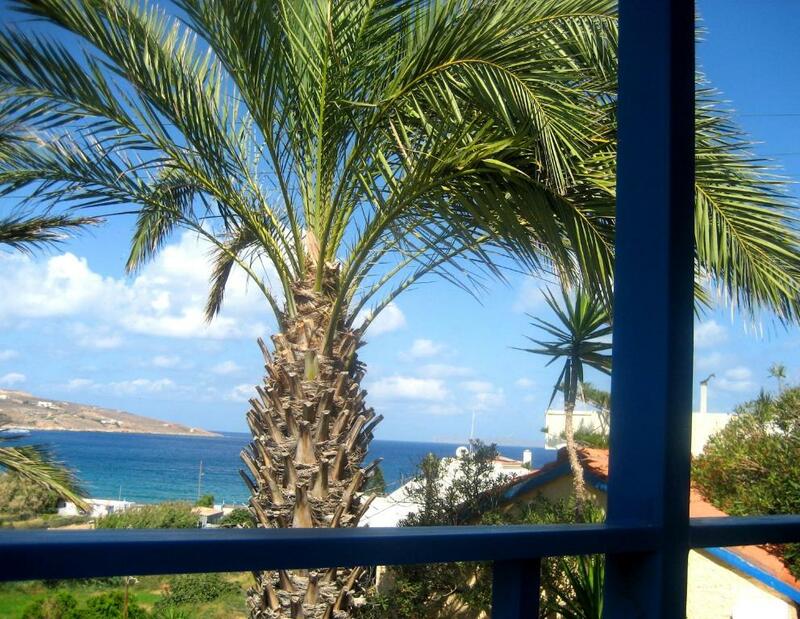 Very nice place to spend holidays in Sitia! There were only to of us so we had plenty of space in the apartment and it was great! 3 rooms, fully equipped kitchen and 2 balconies! It has 2 TVs with a large variety of channels, fast WI FI, parking. You may find everything you need here for the comfortable stay. We had a car so it was not a big deal to get to Sitia. Also recommend to visit Vai and Itanos beaches. The host and personnel are always ready to help. Thanks! Manager very welcoming and helpful. Views from top apartment amazing . Apartment has everything you need. Easy walk into Sitia. Need a car to get there and to get to other remote beaches but the views are worth it.Loved Crete and this area which was less commercial. Would definitely go again. The location in a quiet area. Wonderful view. The apartment had everything you need in both kitchen and bathroom. You can even do your own washing, free of charge:) The terraces faces three ways on the top floor and there is room to practice yoga on the biggest one. Being so high allows for the breeze to cool you down. To be able top open the kitchen out to a small balcony facing the village and the mountains felt like total luxury. Friendly staff who immidiately got in contact to solve the only problem I had, and it was due to events beyond their control. I can absolutely live here again. Lock in a great price for Corina Apartments – rated 8.7 by recent guests! Corina Apartments This rating is a reflection of how the property compares to the industry standard when it comes to price, facilities and services available. It's based on a self-evaluation by the property. Use this rating to help choose your stay! One of our best sellers in Sitia! Set on a hillside, approximately 350 feet from Petras Beach in Crete, Corina offers Mediterranean-style apartments each with 2 furnished balconies overlooking the Cretan Sea and two studio apartments 350 feet from the main building. Siteia Town with taverns and shops is 0.6 mi away. Apartments are reachable by stairs. A kitchen with stove, fridge and dining area is included in all air-conditioned units at the Corina Apartments. Each has a seating area with a satellite TV. Some apartments feature a fireplace. Siteia Town and port are 0.6 mi away. Siteia Airport is within 1.9 mi. The studio apartments offer a secured car-park. Free, shaded parking is possible on site. 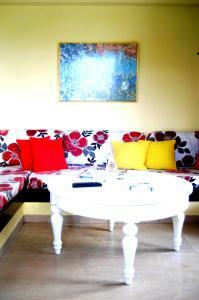 When would you like to stay at Corina Apartments? Some apartments feature a fireplace. Please note that WiFi is only available in common areas for this property type. Hosted by The reception at Elysee hotel for check-in. The reception at Elysee hotel for check-in. 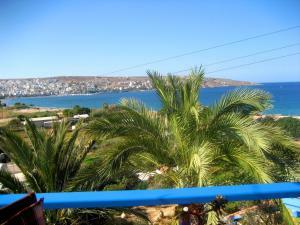 Breathtaking views to Sitia bay and the city , detached flats ideal for families , one shaded car-park and a secured one for the studio flat. 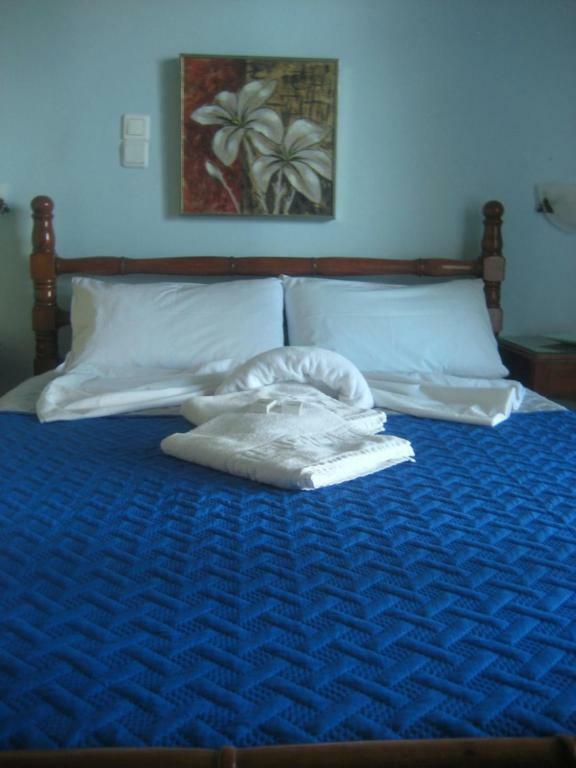 CORINA apartments are situated in a completely safe neighborhood. 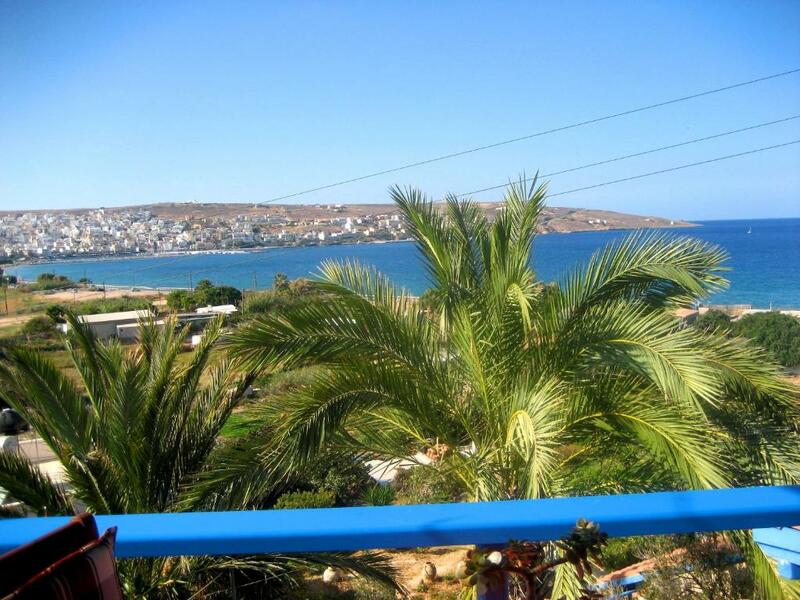 The local beach is only 130 meters away.The town of Sitia is 15 minutes' walk away although a car is advisable so as to be able to explore the rest of the beaches such as Vail palm beach. House Rules Corina Apartments takes special requests – add in the next step! Please inform Corina Apartments of your expected arrival time in advance. You can use the Special Requests box when booking, or contact the property directly using the contact details in your confirmation. Please note that check-in and key collection take place at: Elysee hotel , 14 , K.Karamanli Str., 50 metres before the beginning of the beach in Sitia, Sitia 72300. Very dark and gloomy apartment, north facing so no sun till late afternoon. 40 steps up to apartment, not suitable for anyone with mobility issues, apartment is also split level. Parking is very tight and the street very narrow with parked cars on either side. There is no one on site therefore key pick up and drop off was at Elysee Hotel in the centre of town which isn't close, 2 miles away. Also we were expect to pay cash in advance (no credit cards accepted). If you have a problem there is no one on site to ask, the only point of contact is the hotel receptionist. There was satellite TV which we could not operate and I see from other reviews someone did not have hot water, but it was a case of turning on a fuse to get hot water. There needs to be a folder of clear instructions for everything. We booked and paid for 5 nights and stayed only one!!! 1. The Corina apartments consist of two buildings in different locations and this is not shown properly on Booking.com. Each building should have its own description. On the main page of Corina Apartments is written that WiFi is available, but when booking a specific studio in the Corina 2 building, it is written in the studio description that WiFi is not available in that studio (this information was recently changed). Also, the reviews are almost all about Corina 1, building with blue windows. This is called customer misleading. So, even we found password for WiFi in studio, WiFi was unavailable in Corina 2 studio, they was trying to fix it, but without success. Because of that, instead of spending time on beautiful balcony, each night we had to go to hotel Elysee to use WiFi. 2. When we arrived the studio was not ready, so we had to wait 2 hours. 3. There was no hot water during our 7 days stay. There is no places where children may play. It will be great if small garden/playground will be built. The apartment is located in the Petra village, with all the sounds that living village has. Be prepared to be awakened by the sounds of the village! The road leading to the Sitia is a busy road, without pedestrian area, not well lit in the evening. Highly recommended to have a car in order to reach the best beaches and many charming villages in Crete. The beach nearest to the apartment is along the busy road, with a bit challenging access to the sea. The street in and out is a bit narrow, but we managed each time to drive in and out with no real difficulty. The steps to our private entrance would be a challenge with small children. We found the beds too firm for our liking but appreciate this is only our personal opinion.